WordPlay by GameDesire - Invite your friends and play free online word game! 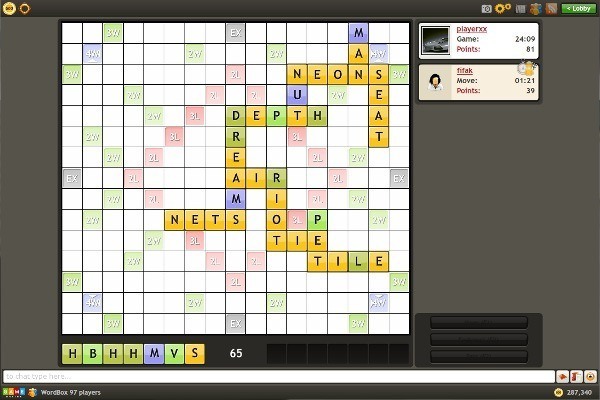 WordBox is a word game for 2, 3 or 4 people who form words by placing letter-tiles on a board. When you begin a WordBox session you first enter the game room where game tables are found. To begin a new game you can either join an existing table or create a new table by clicking "create table." In the table view, you can begin a new game by clicking "start game" or wait for the table administrator to do so. 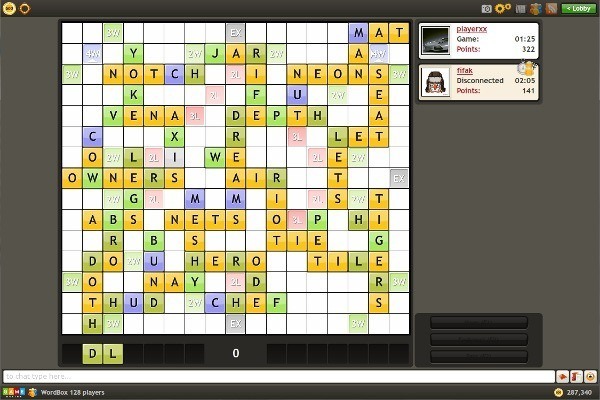 In each turn a player uses their letter tiles to forms words on the board. 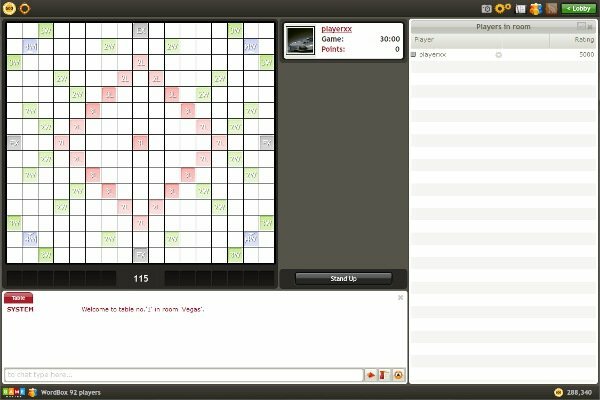 If this is not possible, a player can either exchange the tiles or pass their turn. 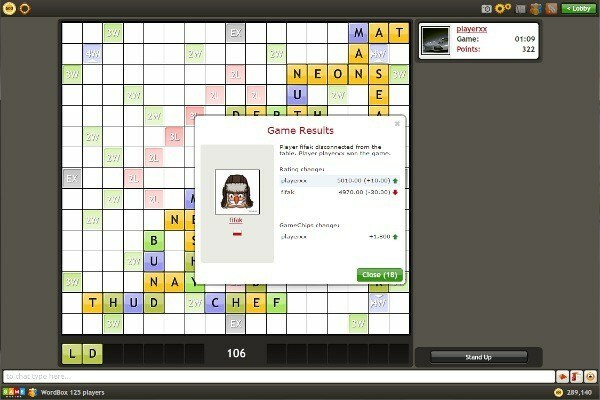 The player who starts the game must place the first letter tile onto the center of the board. New words can be created by adding to existing letter tiles either horizontally or vertically. Once you have placed the word you want, press "OK." If the word is in the dictionary, it is verified and you earn points. The more difficult the letters that you use are, the more points you earn. The player who is able to place more, and more difficult words on the board earns more points and wins the game.